Baby Ariel dropped a new music video, and it is seriously inspiring! The 17-year-old singer and social media influencer just released her song, “8 Letters” — and no, it’s not the same as Why Don’t We‘s song of the same name! We caught up with Baby Ariel at Electronic Arts’ SimsCamp in London, and she spoke about how this music video differs from ones she’s done in the past. This time around, she acted as the director. The star interviewed a bunch of her loved ones and learned about their relationships. “It’s a visual for the song. I recorded it with my entire family. I learned about their whole relationships. I interviewed my entire family — my aunts, my uncle and his wife, my uncle and his stepdaughter. 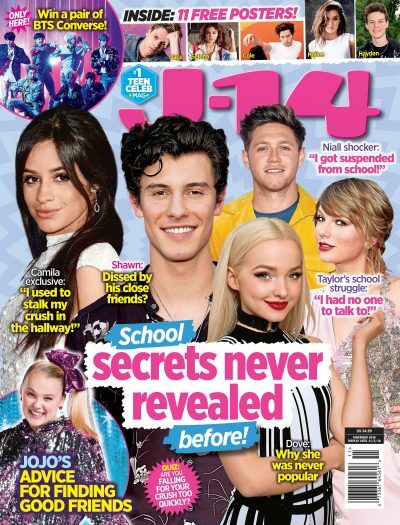 And I just learned a lot about love,” Baby Ariel tells J-14. The star took to her Instagram to explain why she chose to go this route for the video. She even gave Why Don’t We a big shoutout, as she said they were a huge inspiration behind this song. So what can fans expect as far as Baby Ariel’s upcoming music goes? Turns out, she’s switching things up a bit. We’ll still be getting the upbeat, fun Baby Ariel we all know and love — but the star says these next few tracks she’s releasing are much more personal. Check out Baby Ariel’s “8 Letters” music video below!